Lefkada (Greek: Λευκάδα, Lefkáda, [lefˈkaða]), also known as Lefkas or Leukas (Ancient Greek and Katharevousa: Λευκάς, Leukás, Lefkás) and Leucadia, is a Greek island in the Ionian Sea on the west coast of Greece, connected to the mainland by a long causeway and floating bridge. The principal town of the island and seat of the municipality is Lefkada. It is situated on the northern part of the island, approximately 1 hour by automobile away from Aktion National Airport. The island is part of the regional unit of Lefkada. 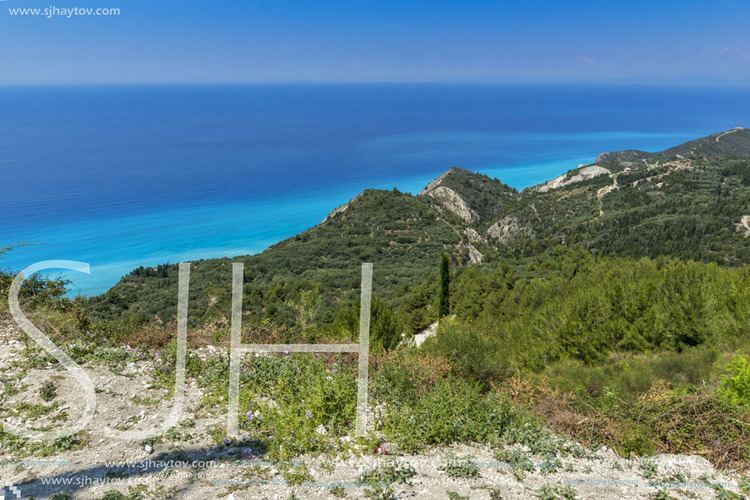 Lefkada measures 35 kilometres (22 miles) from north to south, and 15 kilometres (9 miles) from east to west. 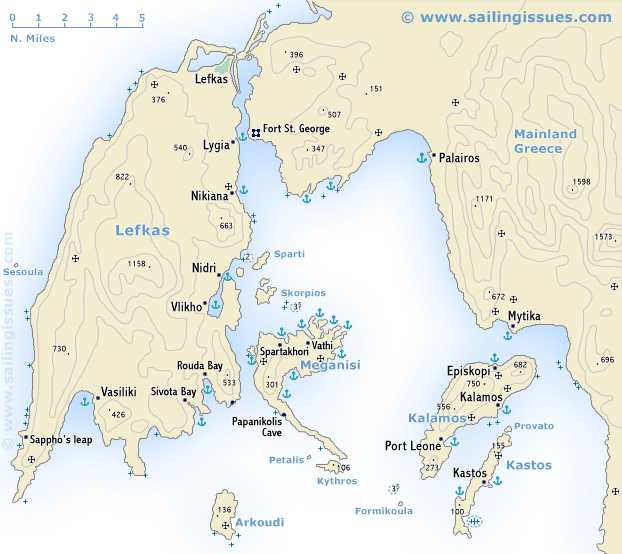 The area of the island is about 302 square kilometres (117 sq mi), the area of the municipality (including the islands Kalamos, Kastos and several smaller islets) is 333.58 km2 (128.80 sq mi). Its highest point is the mountain Stavrota, 1,158 metres (3,799 feet) above sea level, situated in the middle of the island. The east coast section of the island has small resorts of Lygia, Nikiana and Perigiali, all north of Nidri, the largest resort on the island. It is set in a sheltered location with views across to Skorpios (formerly owned by Aristotle Onassis), Meganisi and other small islands, as well as the Greek mainland. The main coastal road from Lefkada to Vasiliki runs through the village, although a bypass has now been completed which skirts the village to the west. There are regular car ferries to Kefalonia, Ithaca and Meganissi. 20 kilometres (12 miles) south of Nidri is the resort of Vasiliki, a windsurfing center. There are ferries to Kefalonia and Ithaca from Vasiliki. South of Vasiliki is Cape Lefkada, where the Greek female poet Sappho allegedly leapt to her death from the 30 m high cliffs. 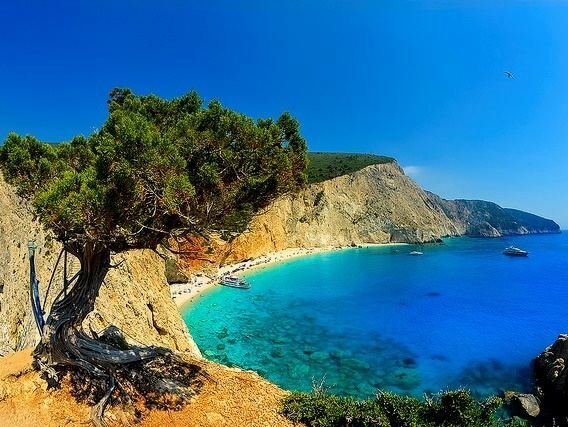 The famous beach of Porto Katsiki is located on Lefkada's west coast. Lefkada was attached to mainland Greece (see below about Homer's Ithaca being Lefkada). 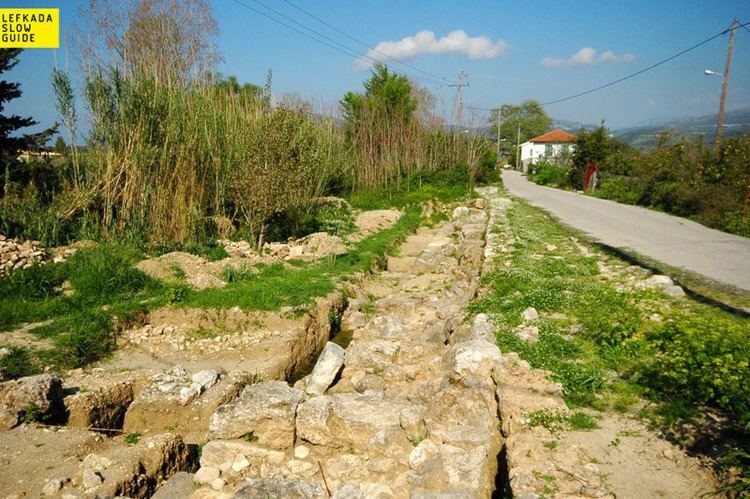 The Corinthians dug a trench in the 7th century BC on its isthmus. Lefkada was part of the Despotate of Epirus until 1295 when it passed from Despot Nikephoros I to his son-in-law John Orsini. The Castle of Santa Maura, as the island became known as, was first built in the beginning of the 14th century; the possession of the castle was key to holding the island. The Orsini family lost Lefkada in 1331, to the Angevins. In 1343, Walter of Brienne granted Lefkada and the Santa Maura castle to Venetian Graziano Giorgio. Between 1343 and 1348, Serbian ruler Stefan Dušan invaded Albania, Epirus and Thessaly, conquering all except for Vonitsa and Santa Maura. In 1362, Leonardo I Tocco seized Lefkada and Vonitsa. In 1479, the Ottomans conquered Lefkada, and rebuilt the castle on a large scale (the core of the castle being Ottoman). The Venetians briefly held Lefkada between 1500 and 1503, during the Ottoman-Venetian War, after which it was returned to Ottoman rule by peace treaty. Ottoman rule was interrupted by Venice in 1684, with the Ottomans surrendering it after a 16-day siege, and was thus again part of the Ionian Islands under Venetian rule. The Ottomans called it Ayamavra, from Greek Agia Maura (Αγία Μαύρα, itself derived from "Santa Maura"), and ruled it between 1479–1502, 1504–1684 and 1715-1716. The Venetians extensively modified the castle in the early 18th century, and the British also made some modification in the 19th century. In 1800, the Septinsular Republic was established, a Russian protectorate under de jure Ottoman suzerainty. The Russian Empire employed troops recruited from fugitive klephts and armatoloi in the Ioanian Islands, particularly of Lefkada. Among these were captains Anastasios Tselios and Apostolos Levendakis, the latter who already in 1802 offered to raise a company of 60 fighters on Lefkada to support the Russians. The first museum in Europe for Lafcadio Hearn, who was born on the island and is named after it, was inaugurated in Lefkada on July 4, 2014, as Lafcadio Hearn Historical Center. It contains early editions, rare books and Japanese collectibles. The visitors, through photos, texts and exhibits, can wander in the significant events of Lafcadio Hearn's life, but also in the civilizations of Europe, America and Japan of late 18th and early 19th centuries through the open mind of his lectures, writings and tales. The municipalities of Kumamoto, Matsue, Shinjuku, Yaizu, Toyama University, Koizumi family and other people from Japan and Greece contributed to the establishment of Lafcadio Hearn Historical Center. The municipality covers the island Lefkada and the smaller islands Kastos and Kalamos. Petros Soumilas (1861–19?? ), Greek Army officer who reached the rank of Lieutenant General.